If you have sought medical treatment in the emergency room following an auto accident, you may, in many cases, have two forms of payment available to you. Which one do you choose? These two forms of payment would be your health insurance and medical payments insurance through your automobile insurance policy. The choice of which policy to use depends on which is most beneficial for your current situation. Your medical payments coverage can be better suited for this situation because they are not concerned with who is at fault for the accident. The injury simply has to result from operation of a motor vehicle. In contrast, your health insurance company will likely be very concerned with whose fault the accident was in order to be reimbursed for the expenses. If you have additional questions regarding which insurance policy to use for emergency room treatment, I want you to call me at (559) 436-0850. I welcome your call. 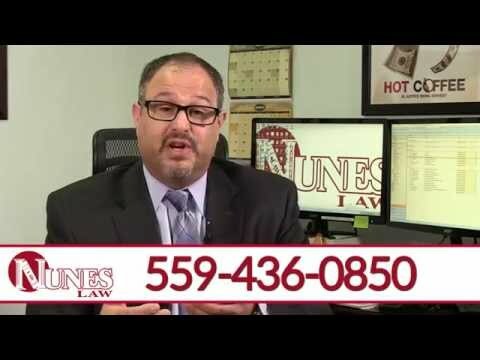 Visit our educational website at www.NunesLaw.com, where you can view more videos and media content from our law firm.